After 301 days, Tiger Woods is once again playing golf. The 41-year-old was -1 after the first four holes of today’s Hero World Challenge, and his tee shots looked good. 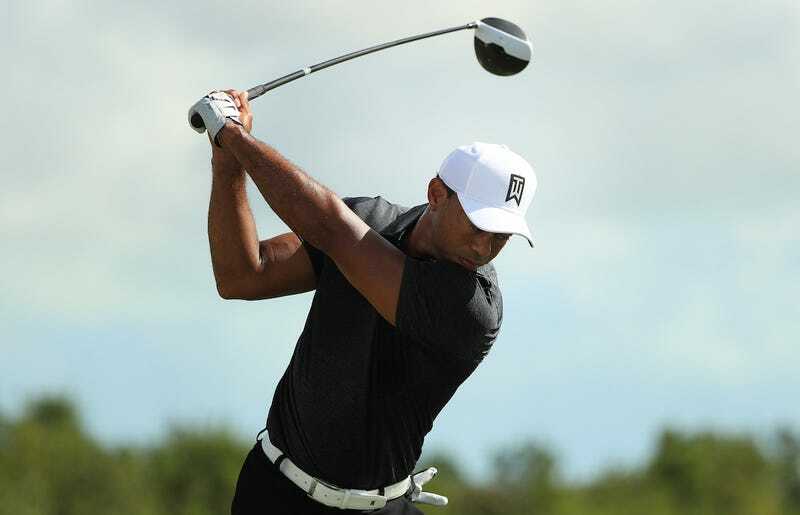 Surely, Tiger is back, for real this time, no, seriously, his body will hold up, for sure. Those swings are impressive, but I’m curious to see how he feels after he completes the round.